Storm chaser beware. 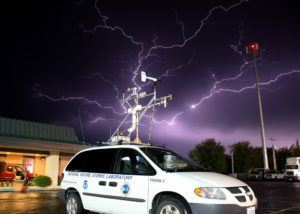 Each year, about 400 children and adults in the U.S. are struck by lightning while working outside, at sports events, on the beach, mountain climbing, mowing the lawn or during other outdoor activities. About 67 people are killed and several hundred more are left to cope with permanent disabilities. Many of these tragedies can be avoided. Finishing the game, getting a tan, or completing a work shift aren’t worth death or crippling injury. 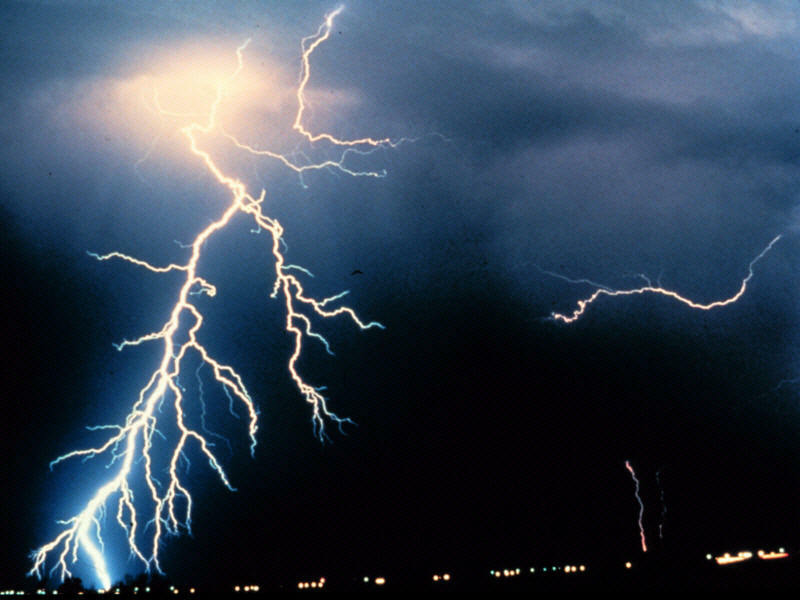 Lightning injuries can lead to permanent disabilities or death. On average, 10% of strike victims die; 70% of survivors suffer serious long term effects. 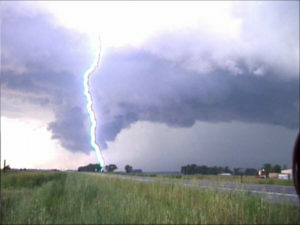 If you are a storm chaser you must be extra cautious around lightning. Postpone activities promptly. Don’t wait for rain. Many people take shelter from the rain, but most people struck by lightning are not in the rain! Go quickly inside a completely enclosed building, not a carport, open garage or covered patio. If no enclosed building is convenient, get inside a hard-topped all-metal vehicle. A cave is a good option outside but move as far as possible from the cave entrance. Lightning Credit: VORTEX II. Photographer: J. J. Gourley, NOAA/NSSL. Be the lowest point. Lightning hits the tallest object. In the mountains if you are above treeline, you ARE the highest object around. Quickly get below treeline and get into a grove of small trees. 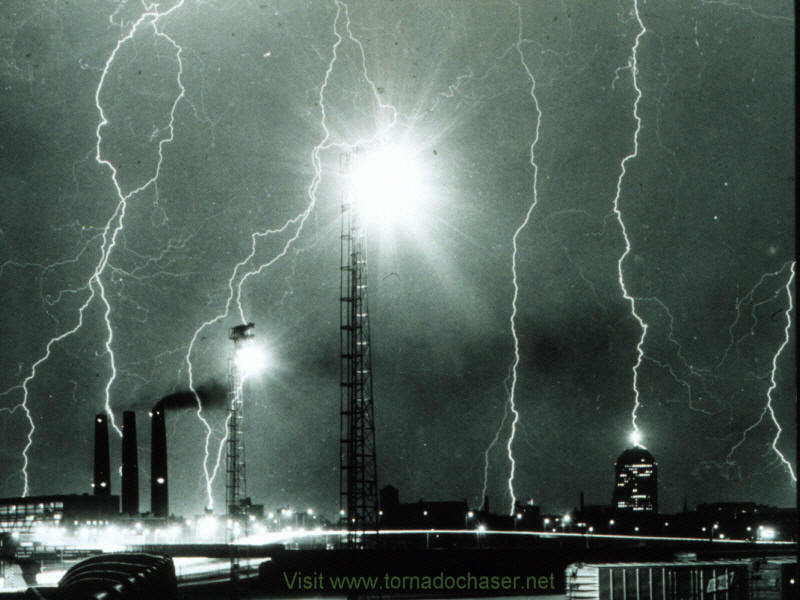 Don’t be the second tallest object during a lightning storm! Crouch down if you are in an exposed area. If you see or hear a thunderstorm coming or your hair stands on end, immediately suspend your game or practice and instruct everyone to go inside a sturdy building or car. Sturdy buildings are the safest place to be. Avoid sheds, picnic shelters, baseball dugouts, and bleachers. If no sturdy building is nearby, a hard-top vehicle with windows closed will offer some protection. The steel frame of the vehicle provides some protection if you are not touching metal. 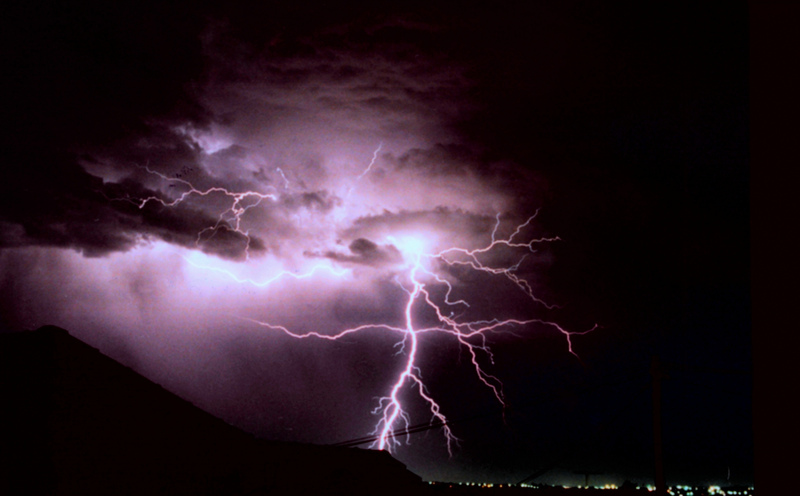 It is a myth that the tires on your car can protect you from lightning. Even if there’s a lien or Title Max loan on your vehicle, protecting yourself from lightning is more important since your car will fare much better if struck than you would. Get out of the water. It’s a great conductor of electricity. Stay off the beach and out of small boats or canoes. If caught in a boat, crouch down in the center of the boat away from metal hardware. Swimming, wading, snorkling and scuba diving are NOT safe. Lightning can strike the water and travel some distance beneath and away from its point of contact.Don’t stand in puddles of water, even if wearing rubber boots. Avoid metal! Drop metal backpacks, stay away from clothes lines, fences, exposed sheds and electrically conductive elevated objects. Don’t hold on to metal items such golf clubs, fishing rods, tennis rackets or tools. 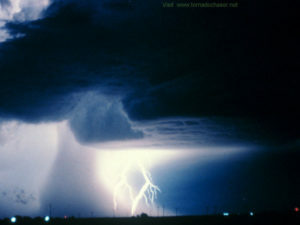 Large metal objects can conduct lightning. Small metal objects can cause burns. Move away from a group of people. Stay several yards away from other people. Don’t share a bleacher bench or huddle in a group. CREDIT TO: National Weather Service and NOAA website for creating this information. We do not own any copyrights to any information on TornadoChaser website that was created by the NWS or NOAA.